Fargesia robusta is a very tall and fast Clumping Bamboo with yellowish culms. 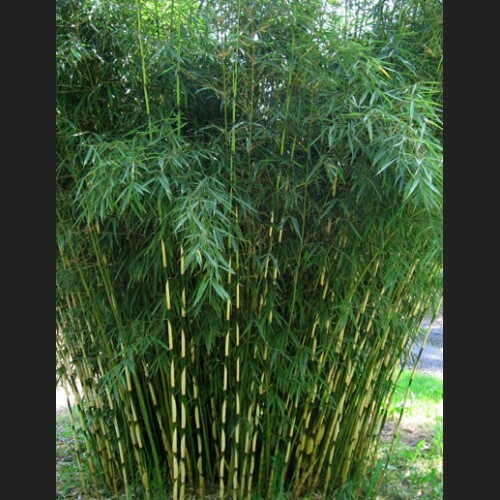 It stands more erect and handles direct sun better than most other Fargesia. Robusta originates from Sichuan Province, China, where it grows at elevations of over 8000 feet. The leaf sheaths are white and slow to drop making a two tone appearance of the culms. Large clumps of robusta are stunning.